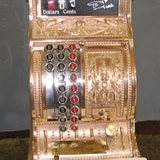 The Gallery is an ever-expanding photo array of cash registers that we have restored for individuals or institutions, along with other photos that we think are interesting or informative. There’s family history with a lot of these registers, along with a description of what different kinds of cash registers are “out there”. 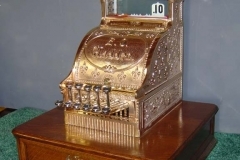 While some of them are commonplace in the brass cash register world, they hold a special place in the owners’ hearts. 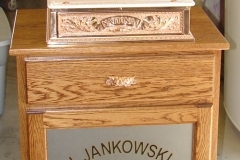 The gallery also gives everyone the opportunity to see some unique registers that you are not going to see anywhere else.